In the present era, Indian weddings are all about moolah and splendor, magic and pomp!! In an era where Indian weddings go extravagant, there are families and couples who still believe in budgeting. They do not at all want to splurge on the wedding night burdened by the social obligations and thus prefer solemnizing a court marriage. Well, the willingness to spend less is one factor but there could be other factors involved which lead to the decision of a court marriage such as inter-caste or inter-religion marriage where parents/families of one or both the sides do not give their consent for the marital bond. The difference in the economic or social status between both the parties could also the other factor behind not getting the consent for marriage and resorting to a court marriage. Under such circumstances, the girl and the boy can solemnize their marriage in front of the law i.e. they can opt for a simple court marriage. 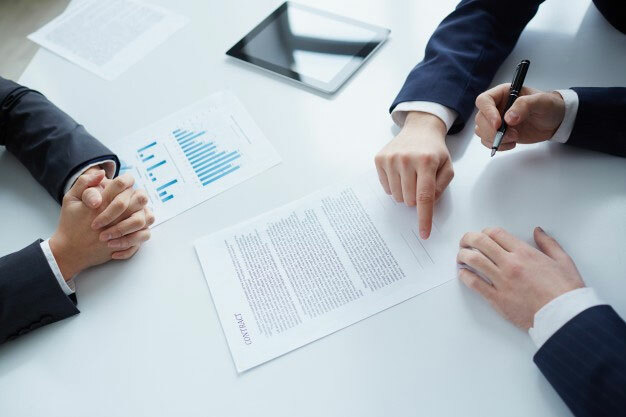 At Rudraksha Law Associates, we have a highly talented and the best court marriage lawyers in Dwarka who aim to provide high quality and transparent services to clients, who wish to seek a thoughtful and careful legal advice. Can I opt a court marriage without the society's consent? Any two persons (a man and a woman) irrespective of their caste, religion or creed are free to choose their partner in India. If the bride and the groom both have attained a legal age which is 18 years for the girl and 21 years for the boy, they can decide to get married without following the ceremonies or elaborated rituals involved in a traditional marriage. A court marriage involves many stages, steps and forms. At Rudraksh law associates, our court marriage lawyers in Dwarka take care of the entire court marriage procedure and also believe in building a personal relationship with their clients. Court marriage under the Hindu Marriage Act,1955 and the Special Marriage Act 1954 : Under which Act should I register? A married couple can register their marriage legally either under the Hindu Marriage Act, 1955 or under Special Marriage Act 1954. The Hindu Marriage Act is valid in cases where spouses belong to the same faith backgrounds such as Hindus, Buddhists, Jains or Sikhs or they have adopted these religions. The Special Marriage Act 1954 is valid when both couples are not Hindus or belong to different religions. The Special Marriage Act 1954 thus provides a special form of marriage for the people of India and all Indian nationals in foreign countries, irrespective of the caste and religion they follow. All Inter-caste and inter-religion marriages can be registered under this Act. Unlike Indian weddings, court marriage is a very simple affair solemnized in the court itself in the presence of a Marriage Officer and three witnesses. Here, the oath ceremony is performed in front of the Registrar of Marriage appointed by the Govt. of India. He also issues a court marriage certificate which makes your marriage legal. If you are looking for the best court marriage lawyer in Dwarka, Rudraksh Law Associates is the apt place for your hunt. Our lawyers are well versed with all the compliances and legal work involved in organizing a court marriage. We let you relax your mind from all the complexities of paperwork and other legal formalities required for court- marriage. We assist you in everything from taking the earliest appointment for your marriage to guiding you in compiling all the archives required at the time of marriage. We strive to make all our clients feel safe by giving them the warmth they need while counseling especially when they are going through the tough times of their life. We also help you in providing the instant relief of protection from police and parents in case someone is trying to threaten you or infringing your rights to marry the partner of your own choice. Unlike other lawyers or law firms who might try to take advantage of your situation leaving you with a burden of heavy payment charges to pay later on, our court marriage lawyers in Dwarka fully empathise you with you and your situation. So, give us a chance to serve you for all your court marriage related queries and requirements. We are just a call away.